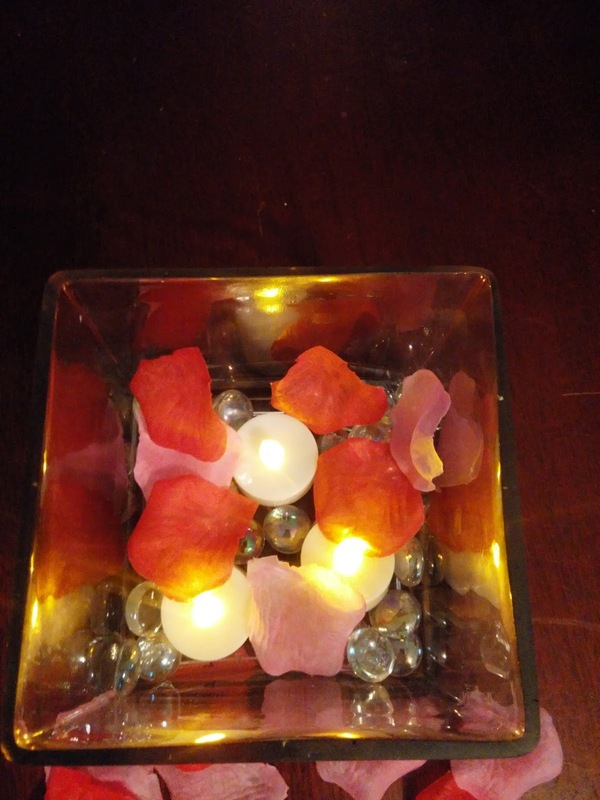 Purchase these Yellow Tealights on AMAZON! 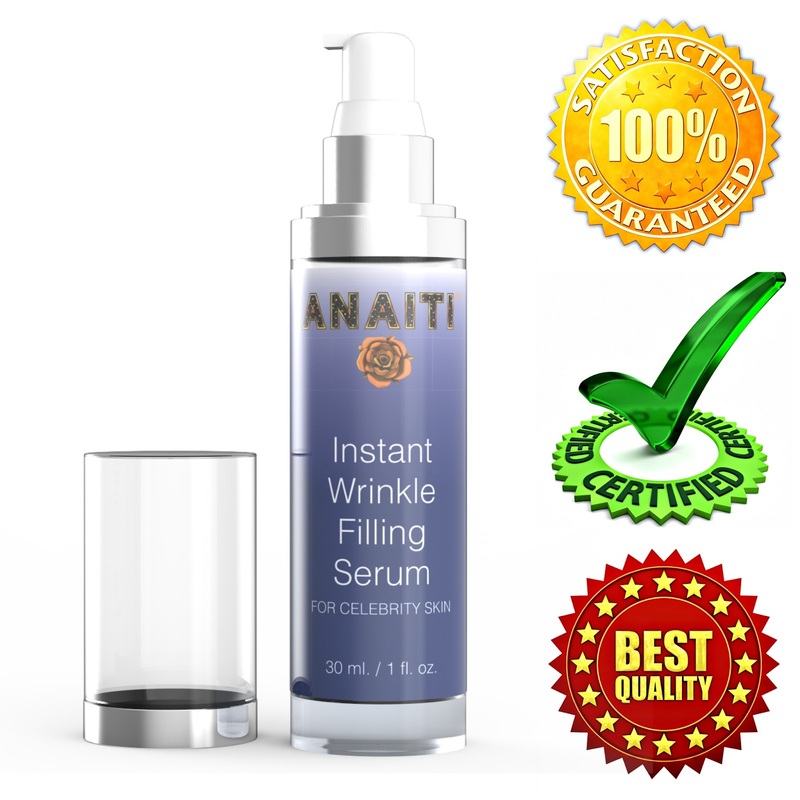 Use coupon code KINW5DY7 and receive 60% off your order! Flameless Flickering Candles Tea Lights - 24 LED Tealights FREE 100 Fake Rose Petals For Windows, Candle Holders, Luminaries, Birthday Candle, Yellow Lanterns. Best in Class by Mars. 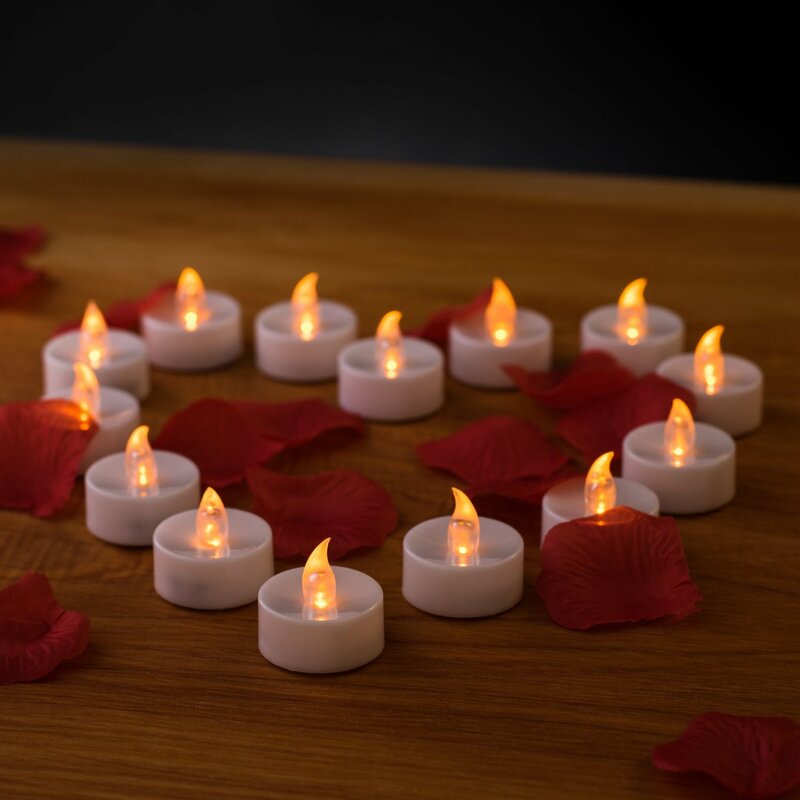 The Mars Tealight Flameless Candle can be used anywhere to achieve a persistent and atmospheric ambience. 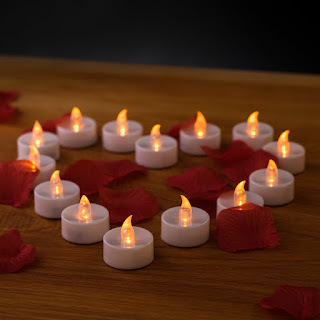 The Tealight Flame-less Candles can be used in votive holders, placed on dining tables for a romantic dinner, they can be placed on the windowsill for a hearty Christmas decoration, stuffers, Halloween, Valentines or they can be used in a restaurant for safe and hazard free flickering candle lights on every table. 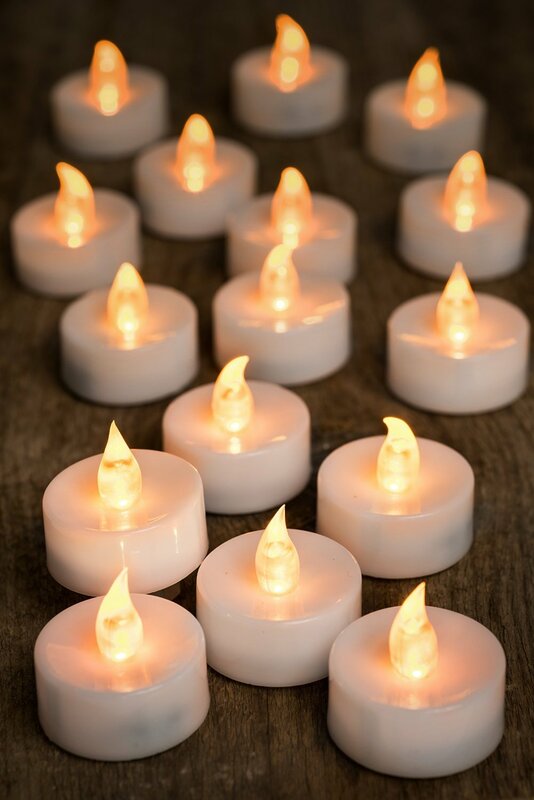 I am in love with these Yellow Tealight candles! When I got the opportunity to try this product. I was super excited. I live in an old historical home so I'm very leery about candles or anything else with flames. I'm also very clumsy and afraid of knocking something over that may potentially catch fire. With these Yellow Flame-less Tealight Candles, I don't have to worry about that! The package I received contained 24 tealight candles and some really pretty decorative rose pedals. 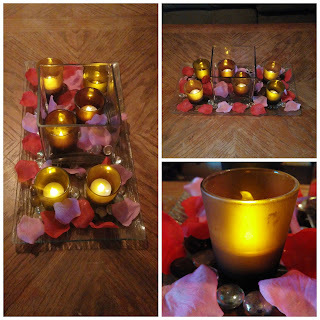 What I loved most about these candles is how natural they looked when in use. They flickered just like the real thing but without the hazard of getting burned or knocking them over. 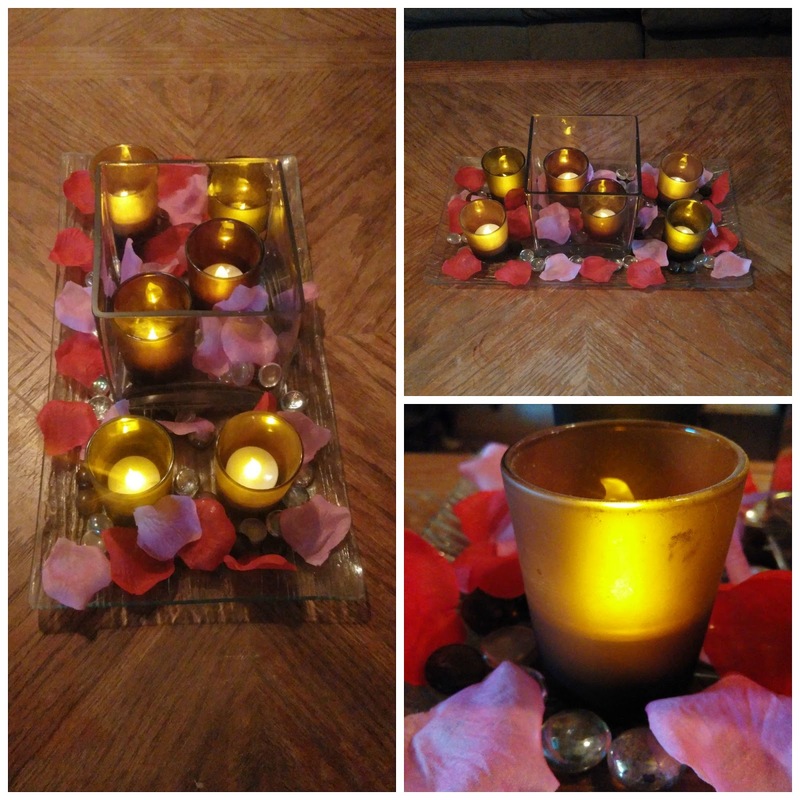 The candles fit perfectly into the votive holders I had put away and displayed very nicely on my coffee table! 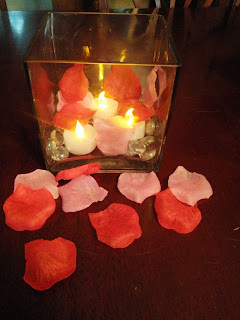 The rose pedals gave my decor a more romantic look to it that brought out the feminine side of my home. These candles have been a perfect addition to my home decor. 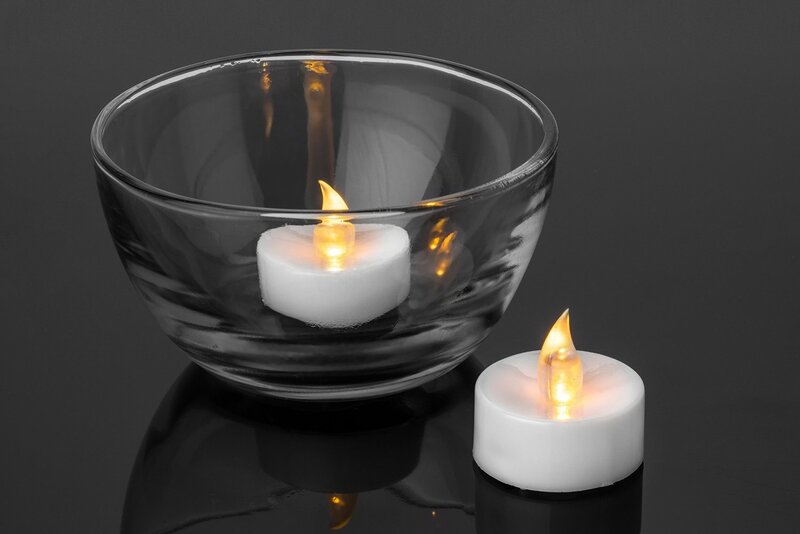 They are perfect for any occasion or holiday and can even be used for light during a power outage. Living on the East Coast we deal with a lot of coastal storms so having something that we can use other than real candles is very helpful! 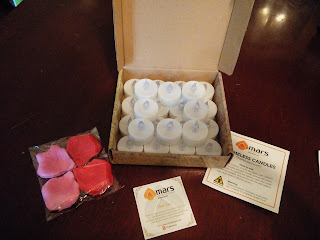 I would definitely recommend the Mars brand Yellow Flame-less Tealight Candles! Enter to WIN a set of these Mars Yellow Tealight candles! Variety isn't only the spice of your life, but your dog's too. 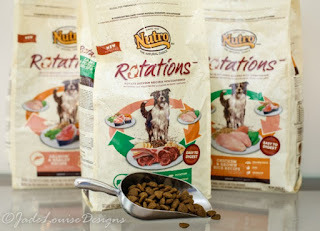 NUTRO™ ROTATIONS™ dog food, an exciting new way to add some variety to your dog's diet, lets you confidently switch from one recipe to another with no transition between bags- it’s that easy. 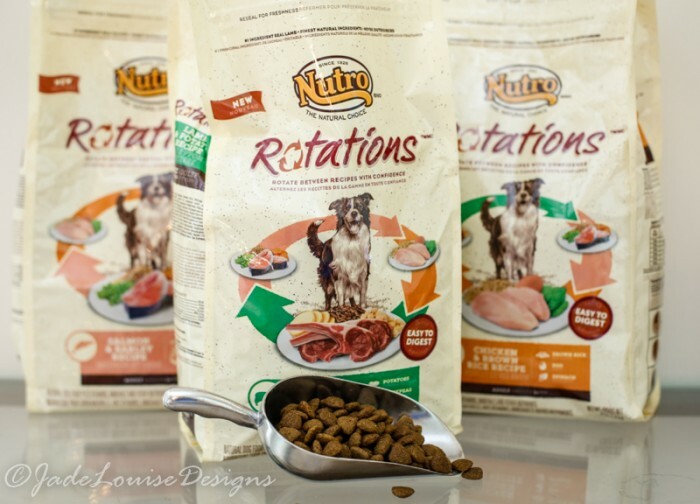 NUTRO™ ROTATIONS™ Recipe dog food is made with the finest natural ingredients from real lamb, to whole grains and farm raised fruits and vegetables. Not only tasty and healthy, it was specifically designed to be easily switched with our other NUTRO™ ROTATIONS™ Recipes, so your dog gets as much variety as you do. Start with one recipe and change to the next with no transition time between bags- it’s that easy! Package Sizes Available: 4 lbs., 12 lbs., 24 lbs. Taking care of my doggy daughter is very important to me. 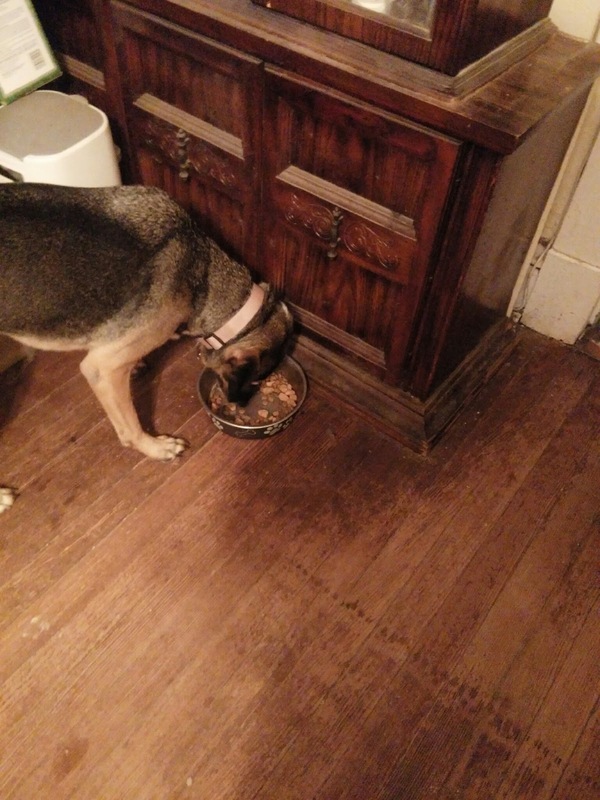 Having a dog food that she not only enjoys but is also healthy is a must! 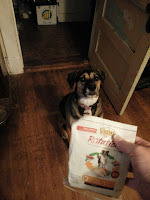 So when I got the chance to try Nutro Rotations Dog food, I was very grateful! I was sent 3 different flavors for Kaia to try. Lamb and Potato, Salmon and Barley, and Chicken with Brown rice. The Lamb and Potato I believe was her favorite out of all three flavors! She got so excited when I opened the package and showed it to her! She smelled her food and started jumping up and down and even barked to say please! What I love the most about the Nutro Rotations Dog food is that it contains all natural ingredients! There are no added colors to the dog food that you see in other brands. I have learned that all the colorants added are NOT healthy and can harm your pup. I have also learned that it takes approximately six days to change your dogs food over to another brand. If one changes the food to soon, it can cause a lot of side effects in your pet such as; nausea and vomiting, or your pet not wanting to eat at all. The dog food is the perfect size for my Kaia to eat. The morsels are small enough that she can chew easily but not so small that it causes her to choke on it. And she absolutely loves the taste! 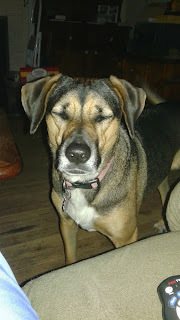 I have switched my poochy to the Nutro Rotations Dog Food and I feel that I made a great choice for my dog! I would definitely recommend trying this great dog food for your pet! 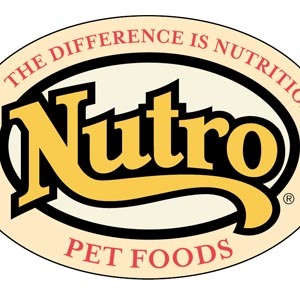 Find out where you can find Nutro Pet Food on the Nutro Website! Newly updated with 3 ultra bright x2 LED bulbs that adjust from ultra bright to a soft reading light with push button ease, the Kandle by Ozeri II is the latest generation LED book light designed for the Amazon Kindle™, Kindle Touch, Kindle Keyboard, Kindle 2 , 1, and DX. Also compatible with the Sony® Reader, Nook™ Simple Touch, Kobo™ Touch, and other eBook Readers, the Kandle by Ozeri II incorporates the original patent-pending WideLip design that securely attaches to your eBook Reader without blocking the screen, and retractable arm that folds into a closed position to protect the LEDs from breakage. 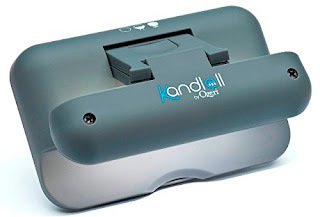 Improved, compact and light, the new Kandle by Ozeri II now features double pivoting arms for easy positioning and a new brightness selector for the ideal screen illumination. 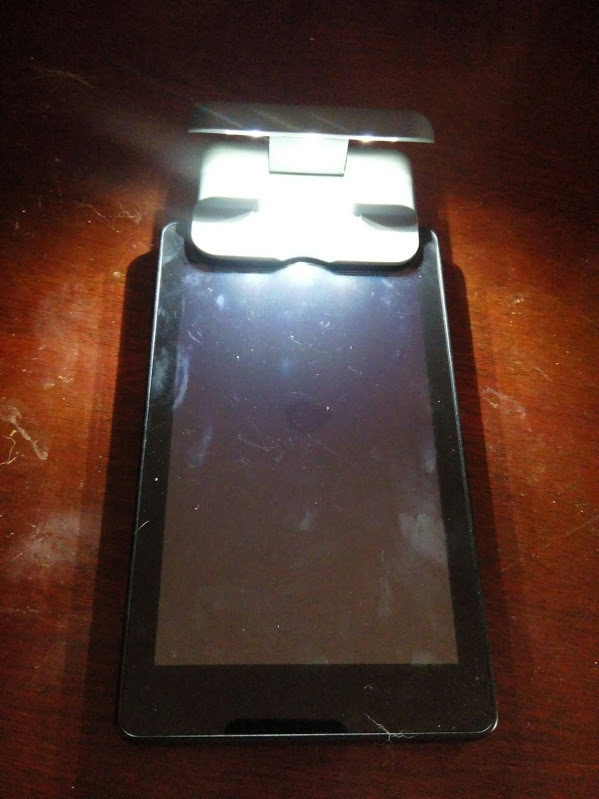 Also new to this latest generation book light are intelligent LED sensors that automatically power off when the folding arm is closed to prevent accidental loss of battery power, and a redesigned battery door that opens easily without screws. Thoughtfully designed with LED bulbs that are angled and sequentially spaced for even light distribution across the screen without creating glare or eyestrain, the new Kandle by Ozeri II is the perfect reading companion. 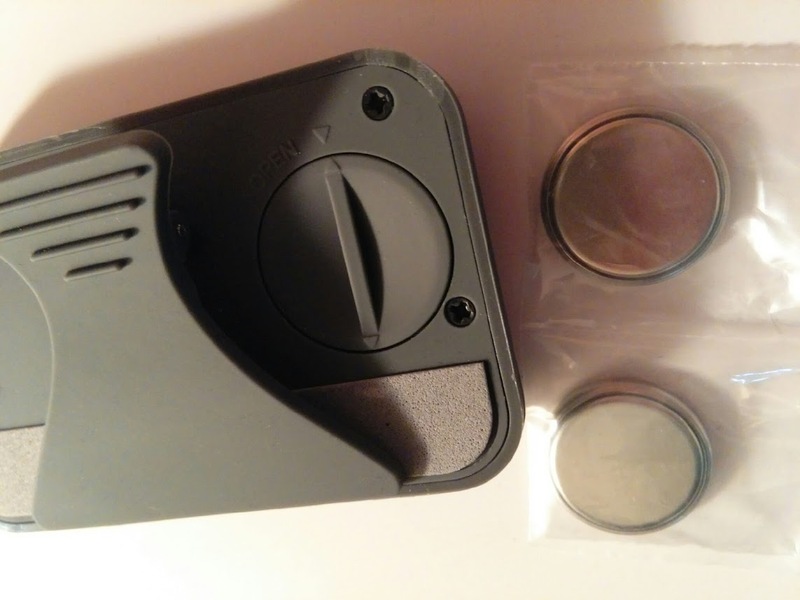 Ships with 2 CR2032 batteries installed, a bonus set of extra batteries, and a protective pouch included. Exclusively warrantied by Ozeri to original purchaser. There are no factory authorized resellers. 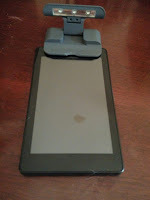 Have you ever found it hard to read your kindle or ebook reader? I know I have. Even when my kindle screen lights up it's hard to read. So when I was blessed to be able to try this Kandle I was excited! I love to read so this was a perfect product for me! 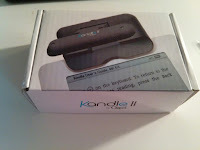 When I received the Kandle it was perfectly packaged inside a little box. It Included 2 CR2032 batteries installed (plus an extra set of batteries) and protective pouch. I appreciate the extra batteries because I read so much that I'm sure I will run the batteries down in no time. 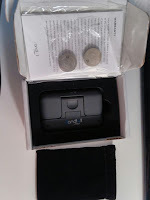 The pouch makes it easy to store away and I don't have to worry about losing it anywhere in my room. 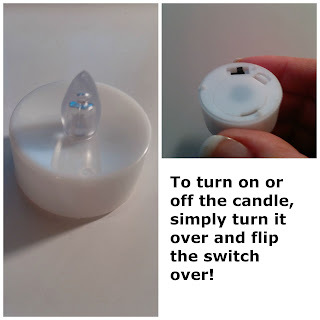 I can place it in the pouch and put it in the night stand for the net use! The light it'self is easy to attach to my kindle. 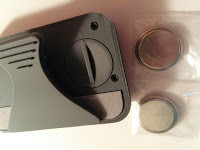 It has an easy pinch clip that attaches firmly so it wont move around while i'm reading. The light flips up and and swivels so that I can adjust it to the perfect angle for reading. 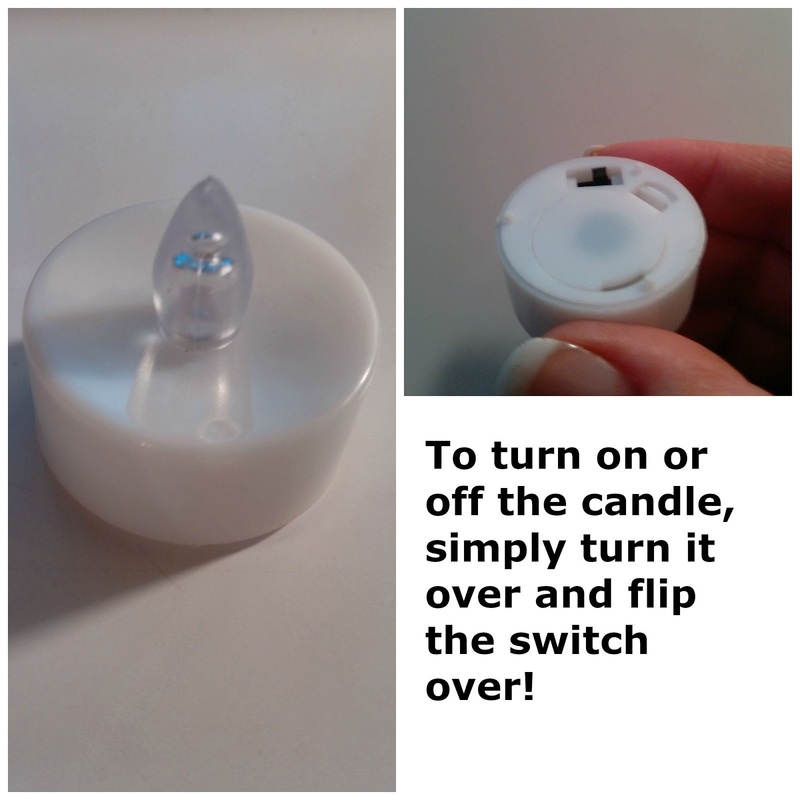 The light on the Kandle has two settings and has a button on the back of the swivel to turn it off and on. The light settings are low and high. The first setting is bright enough that you can see everything you are trying to read and the second setting makes it a bit brighter but I have found that at times it seems to bright and glares depending on the setting I am in. So I normally just use the lower setting when reading. 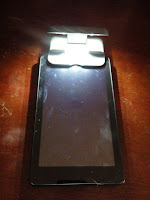 All in all, I think this is a great reader light for any device that one may have. 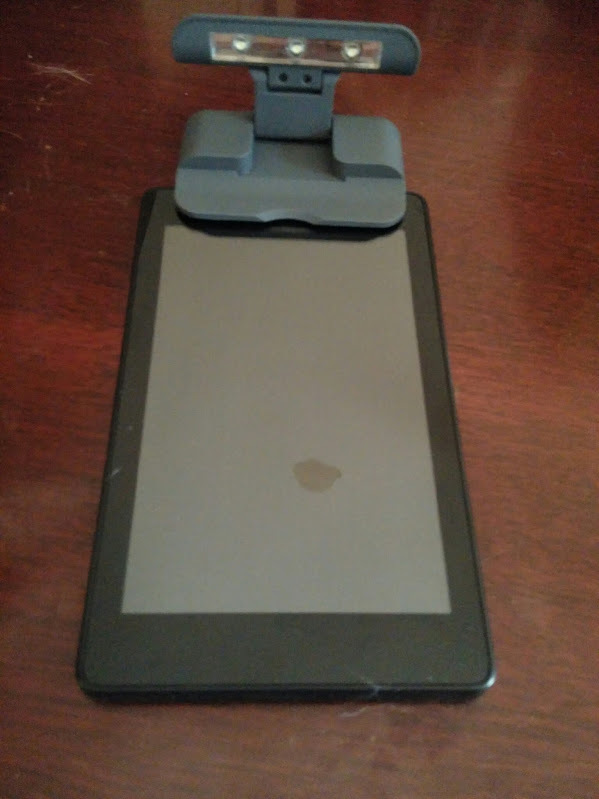 I have also used it when reading from a regular turn page book and it works great as well. I would definitely recommend it for the avid readers! We stand for health and long life for your pet, so all our products are formulated accordingly. Purchase the Hip and Joint Supplement HERE! 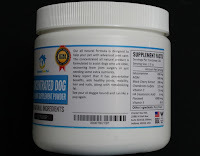 100% DELIGHT GUARANTEE; This guarantee backed by our outstanding customer service, means that if you're not happy with our dog supplement for joints, simply contact us and we'll do our darndest to put things right! We have three pooches included in our family, Kaia, Piddles and Dinky! Keeping them happy and healthy is very important! Making vet appointments and making sure they have all their shots is essential for their well being. Also making sure they eat a healthy diet for weight control and vitality is key in keeping them strong and active. 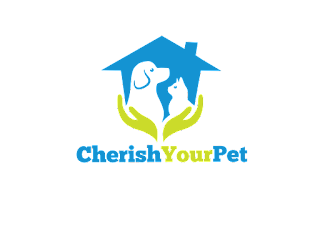 I feel that I take very good care of my pooches so when I got the opportunity to try the Cherish Your Pet Concentrated Hip and Joint Supplement I was very excited! As a healthcare worker I'm well aware, as humans age, of how our bones and joints break down and become brittle. It's not so much different for our animal family. 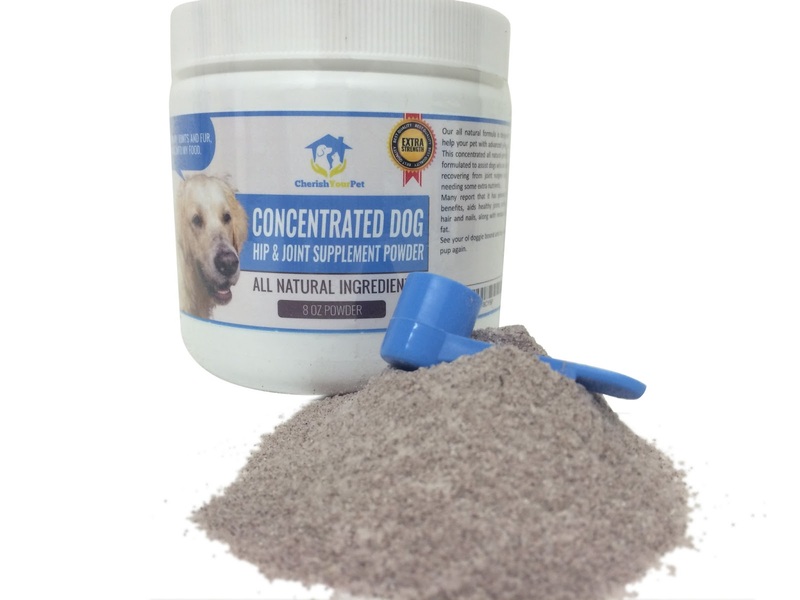 The Hip and Joint supplement is specially formulated with natural ingredients to make sure that our pets have healthy joints. Just as us humans need to have vitamins in our diet, so do our pets. The Cherish Your Pet company has worked very hard to make this a product they can be proud of! 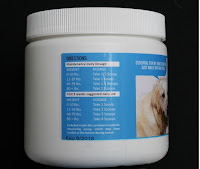 It is formulated to reduce the deterioration of joint tissue in dogs of all shapes and sizes. 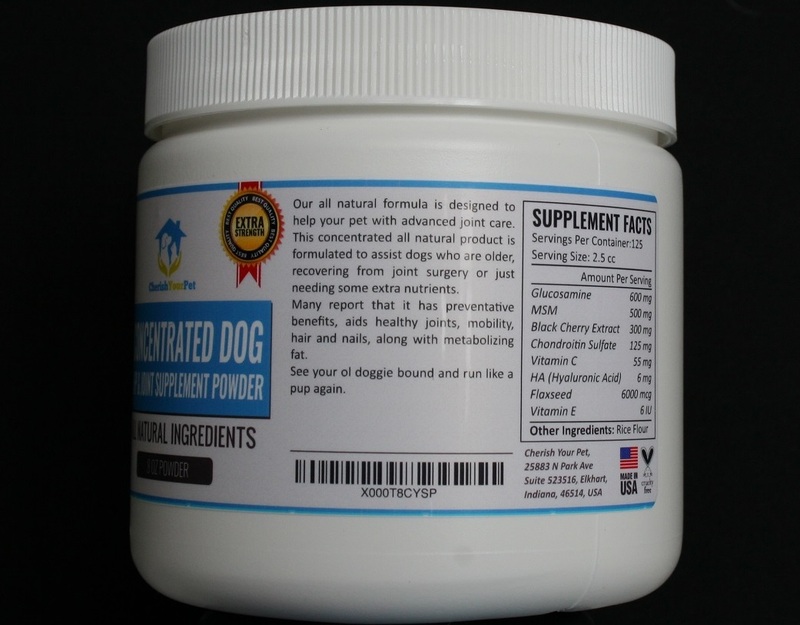 The supplement comes in an 8oz container and includes a measuring spoon inside. 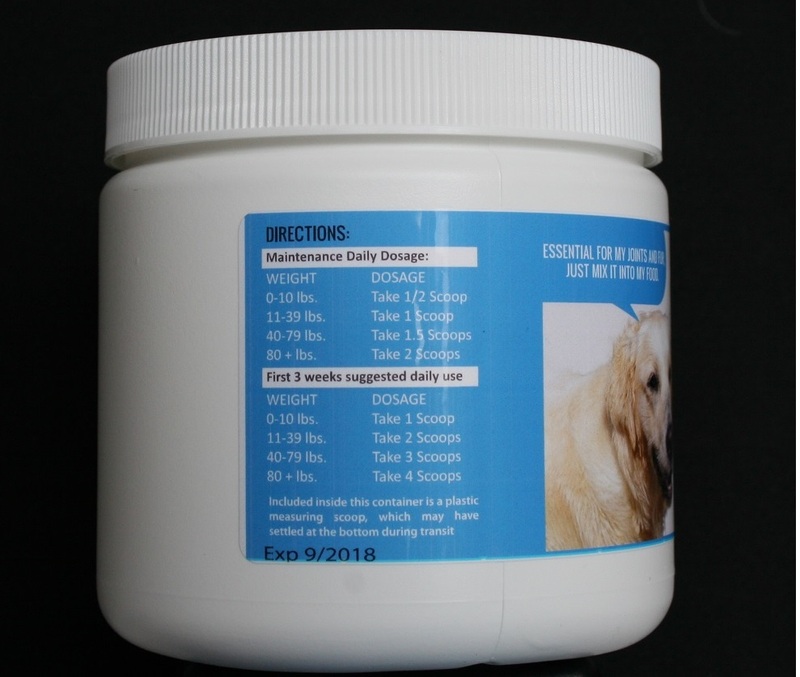 The instructions for the size of your pet is located on the outside of the container and tells you exactly how much needs to be used. 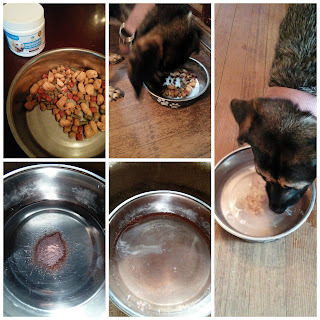 I mixed the powder with regular water and with her food to see which would work the best. I have to say that putting it inside her food worked a lot better. When I added it to her water she drank part of it and left the rest for later. After a while I could see the residue from the supplement in the water. This product is made in the USA and is cruelty free! Give your pooch the best with the Concentrated Hip and Joint supplement from Cherish Your Pet! 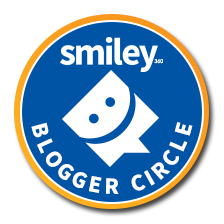 Enter to WIN a Jar for your pooch! Purchase the Baby Mirror on Amazon! 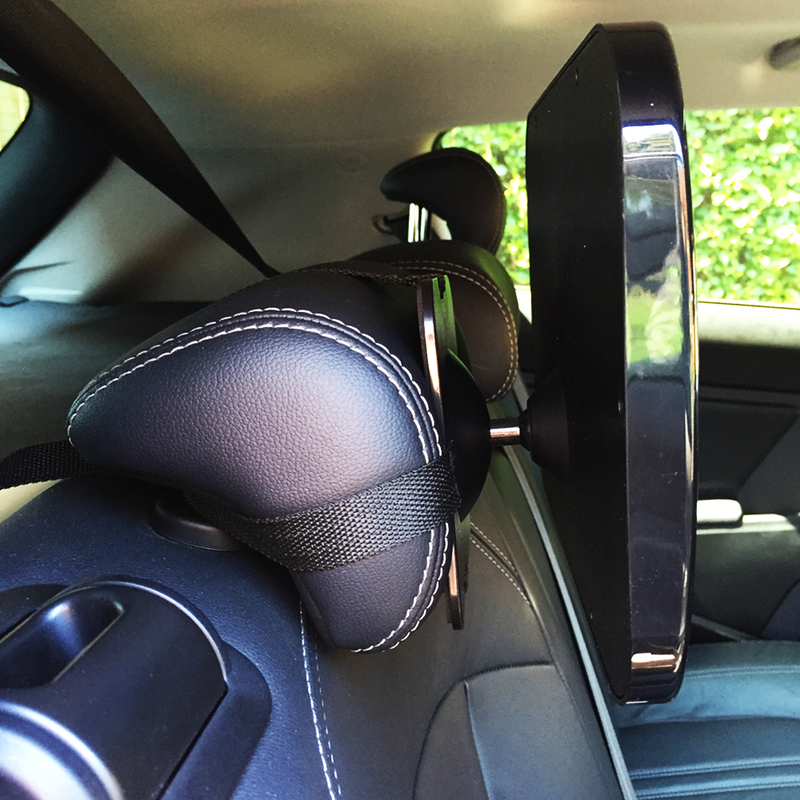 FULLY FACTORY ASSEMBLED FOR SAFETY AND RELIABILITY - Unlike many back seat mirrors, our baby mirror comes fully factory assembled. When your out and about, mothers know that keeping an eye on their children is a must. But how can you see what they are doing when your out driving? This baby mirror makes it possible for you to keep your eyes on the road and on your baby all at the same time! 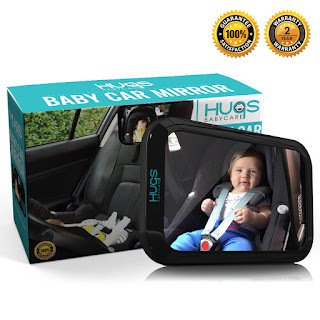 This BabyCare Baby Car Mirror comes already assembled so all you have to do is put it in the car! 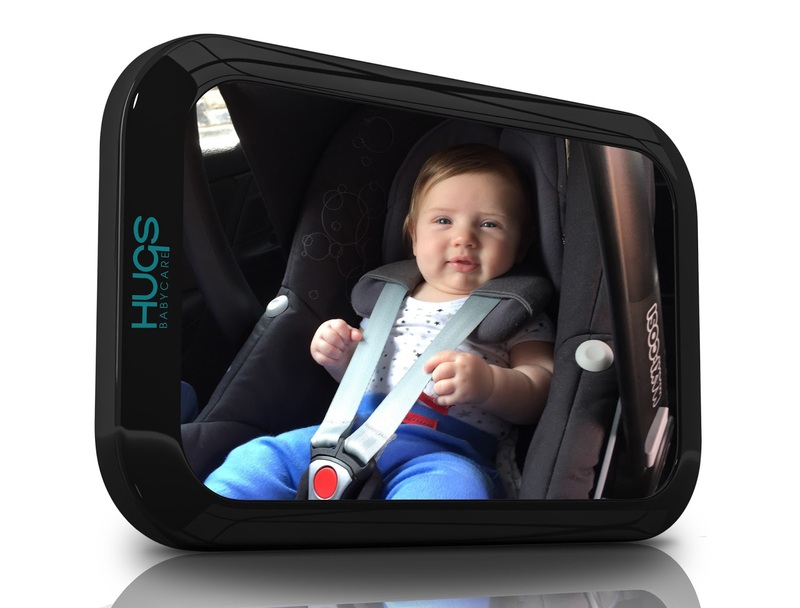 It's easy to install by just placing the straps around the back of the headrest and adjust the mirror so that you have a full view of the car seat and your baby. When I placed this into my car, I could see the entire seat and dashboard. It gave a full view and was easy for me to just look back and see without having to turn my entire body to see. I really like that it doesn't block the view from my rear view mirror so I am still able to drive without any distractions. 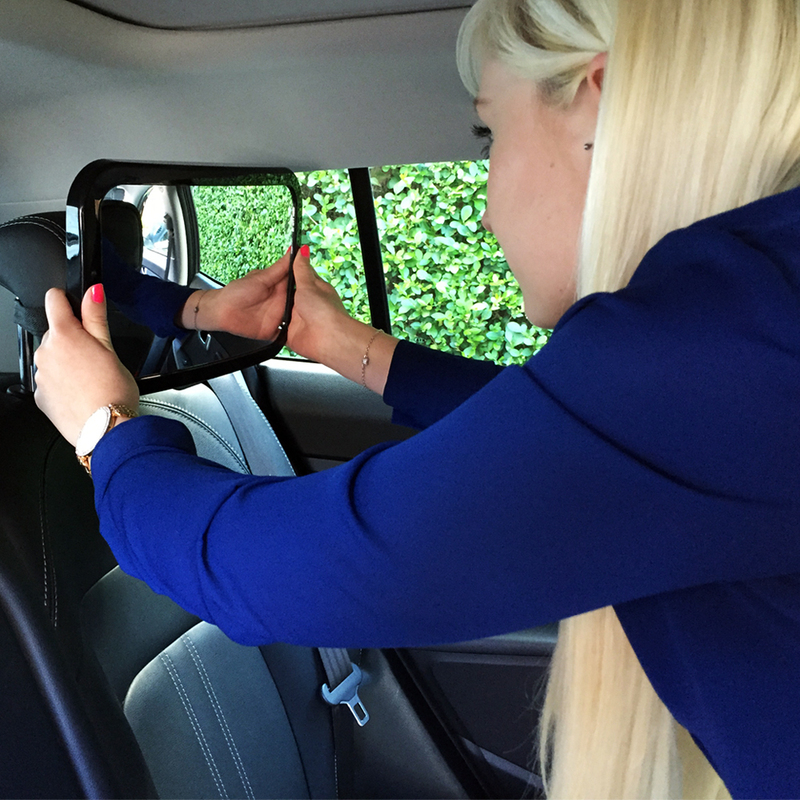 The mirror it'self is made with a durable plastic that doesn't seem like it would break very easily. If taken care of properly, I feel this would last the lifetime of your child! This is perfect for new parents or even parents with older children so that you can keep an eye out on what they are up to! I would recommend this product to any parent! Purchase The Right Wrong Thing HERE! Officer Randy Spelling had always wanted to be a police officer, to follow in the footsteps of her brothers and her father. Not long after joining the force, she mistakenly shoots and kills Lakeisha Gibbs, a pregnant teenager. The community is outraged; Lakeisha’s family is vocal and vicious in their attacks against Spelling. Suffering from post-traumatic stress disorder, and filled with remorse, Randy is desperate to apologize to the girl’s family. Everyone, including the police chief, warns her against this, but the young police officer will not be dissuaded. Her attempt is catastrophic. Dr. Dot Meyerhoff, police psychologist, plunges herself into the investigation despite orders from the police chief to back off. Not only does the psychologist’s refusal to obey orders jeopardize her career, but her life as well, as she enlists unlikely allies and unconventional undercover work to expose the tangled net of Officer Spelling’s disastrous course. This is a compelling story about how Post Traumatic Stress Disorder can effect someone in their everyday life, on and off the job. Officer Spelling finds herself in a tangled web after she shoots and kills a young pregnant teenager. Her life is turned upside down as she struggles to live her day to day life. With night terrors and images running through her head she is forced to see a psychologist to help her manage the PTSD's. This is a thrill ride through and through with every page containing danger, controversy and deep feeling. The author hits home on a lot of details of those who suffer from this illness. I could not give this book enough praise! 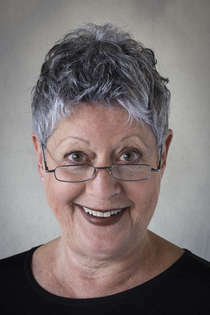 Ellen Kirschman, Ph.D has been a police psychologist for thirty years. She is the author of the non-fiction books I Love a Cop: What Police Families Need to Know, I love a Fire Fighter: What Family needs to know, and Counseling Cops: What Clinicians Need to Know. Her debut novel, Burying Ven, is the first in the Dot Meyerhoff series. Ellen and her husband live in Redwood City, California. 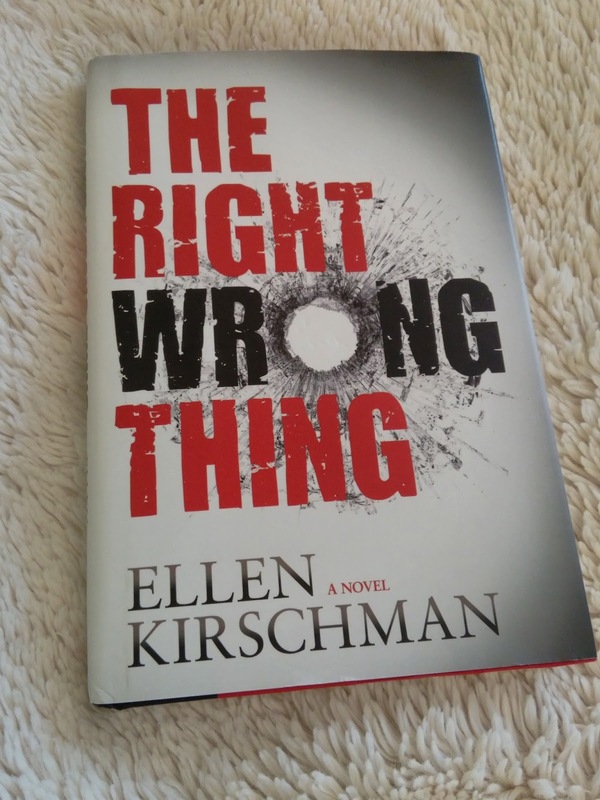 "Highly satisfying....Kirschman...perceptively treats complex racial, feminist, person and political issues while providing intimate knowledge of cops' shop procedure...neatly balances Dot's psychological expertise with her warmhearted humanity...." Publishers Weekly. 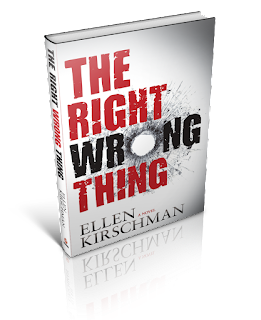 "Ellen Kirschman qualified as a police psychologist and worked for more than 30 years in the field. In this time she encountered a number of weird and interesting cases. This behind-the-scene experience reflects in the way she writes her novels. The story rollercoasters with a rookie cop accidentally shooting a civilian and she wants to make amends. 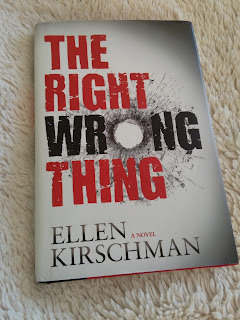 The way the psychologist deals with the rookie cop's PTSD is inspirational and the book really captured my attention from the start." Net Galley reviewer. "This story couldn’t be any more timely. It looks behind the headlines, into the lives of those involved in these tragedies and the events that might lead up to them." Net Galley reviewer. "I read this book within 2 days! It's just so amazingly written. The author has a beautiful way to share a variety of emotions with the reader. Being a therapist myself, I really found the approach interesting. I highly recommend this book!" Net Galley reviewer. Purchase the Instant Wrinkle Filling Serum on Amazon! I have been blessed to try the Anaiti brand in the past and loved the product. 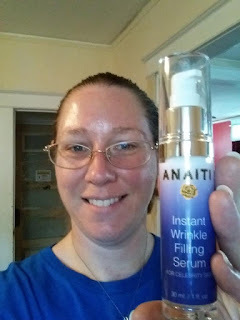 So when I got the opportunity to try another product from them I was excited! 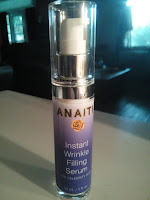 So here is what I thought of the Instant Wrinkle Filling Serum! The serum feel very lightweight on my skin. 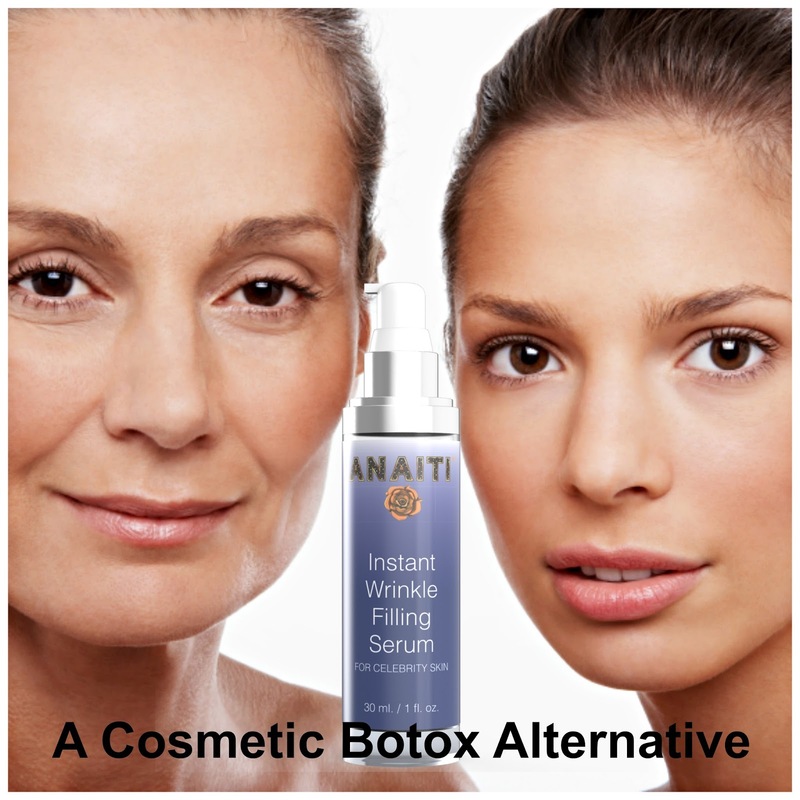 It absorbs fairly quickly and didn't leave me skin irritated or feeling dry and tight. 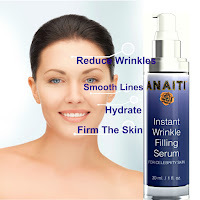 It also didn't leave my skin feeling greasy or oily which, for me, is very important when using a skin care product. It has a very light pleasant scent that I really enjoy. 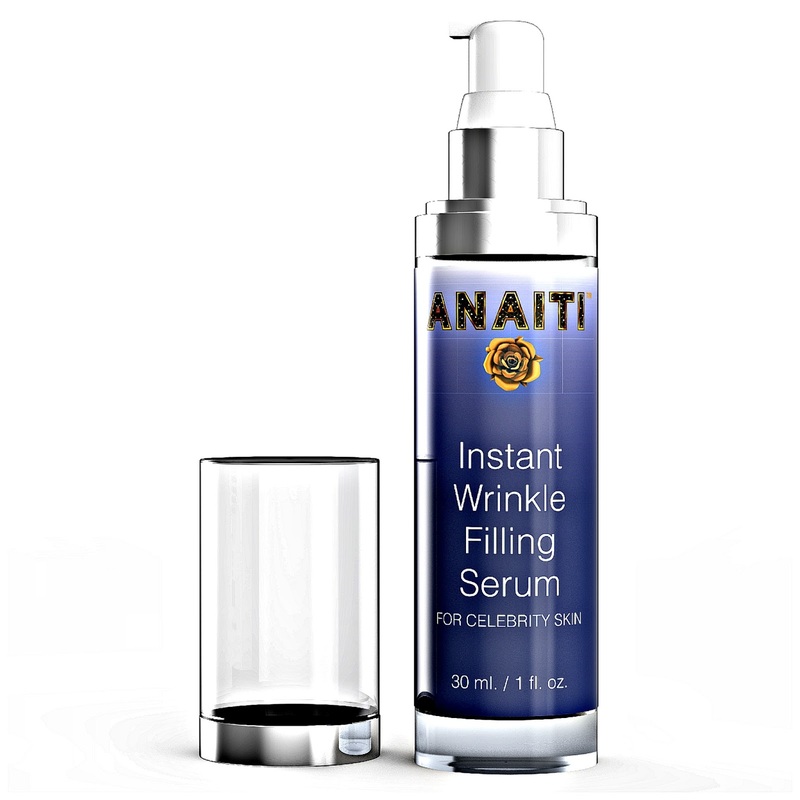 My skin feels smooth ad soft once the product dries and after using the product for a few days my skin felt smoother than it has in years! I like the pump feature on the bottle. 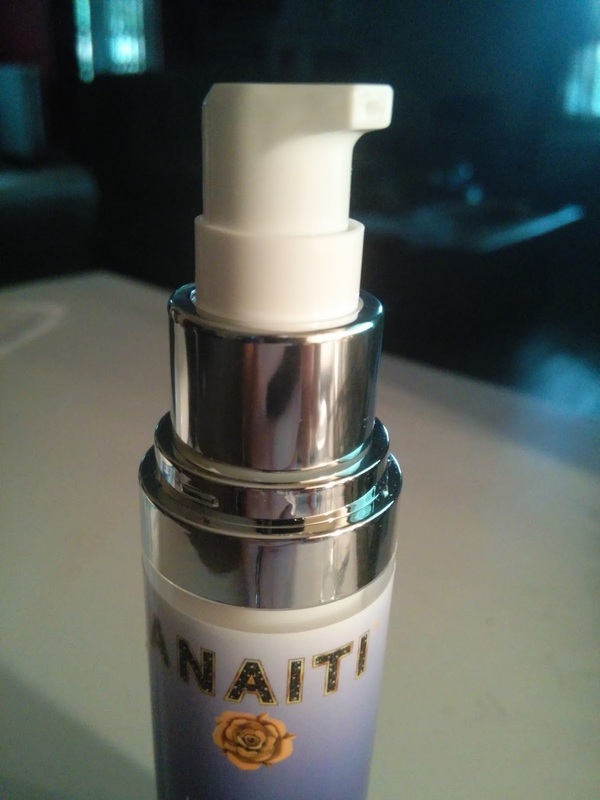 It makes the product easy to use and gives me just the right amount to cover my face entirely. This also makes for less mess while using! The bottle is thin and easy to store without taking up half of my counter space. This is nice because I have a variety of products I use throughout the day! I love this product and can't wait to see the long term effects it has for my skin. 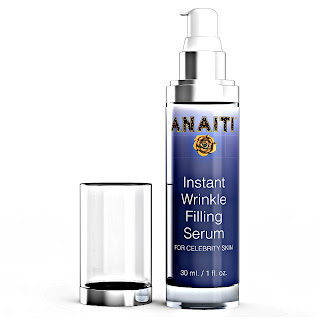 I would definitely recommend the Instant Wrinkle Filling Serum by Anaiti to everyone!